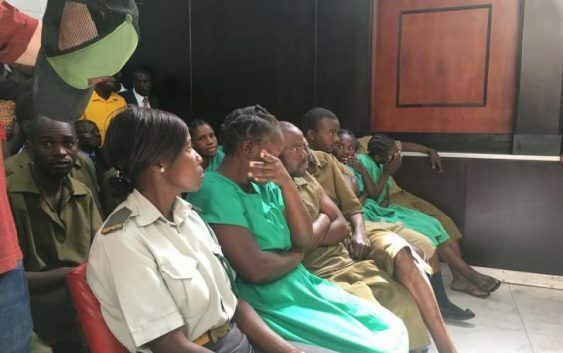 SEVERAL MDC ALLIANCE ACTIVISTS TODAY APPEARED IN COURT charged with violence that broke out after the 30 July 2018 harmonised election when the Zimbabwe National Army (ZNA) shooting six people dead on Wednesday. A total of 27 people who include 19 men and eight women associated with the charges relating to the death of the six people The state prosecutor Michael Reza opposed bail on the grounds that that: “There’s more than a likelihood that they will reoffend, they will intimidate witnesses, they will interfere with evidence and they will not attend trial,” Mr Reza is quoted as saying. ‘CHAMISA RIGGED HIS WAY TO BECOMING MDC-T leader, AS THERE WAS NO CONGRESS’ Norton legislator Temba Mliswa the MDC Alliance president Nelson Chamisa rigged his way to becoming the MDC-T leader as there was no Congress’.